Soaring sales of cancer drugs, vaccines and veterinary medicines drove Merck & Co.’s 5 percent jump in second-quarter revenue and the company lifted its outlook for the year. Long known for primary care with its allergy, cholesterol, diabetes, heart and osteoporosis medications and shots to prevent common children’s ailments, Merck now focuses more on so-called specialty drugs, which are generating most growth. Those include advanced cancer treatments such as blockbuster Keytruda, medicines used in hospitals like anesthesia-reversal drug Bridion and its Gardasil shot to prevent the sexually transmitted, cancer-causing HPV virus, plus its popular Bravecto flea-and-tick killer. The country’s second-biggest drugmaker on Friday posted net income of $1.71 billion, or 63 cents per share. That was down 12 percent from a year earlier, due to $1.15 billion in charges for research investments and other one-time items. Excluding those, earnings came to $1.06 per share, 3 cents better than expected. The maker of diabetes pill Januvia and Keytruda, which fights cancer by boosting the immune system, reported revenue of $10.47 billion, or 63 cents per share, topping expectations for $10.32 billion. Prescription drug sales increased 6 percent to $9.28 billion, led by Keytruda, Januvia and Gardasil. U.S. drug sales dipped 3 percent, partly due to insurer pressure for lower prices, while foreign sales jumped 13 percent. The Kenilworth, New Jersey-based drugmaker is enduring increased brand or generic competition cutting sales of several products, particularly shingles vaccine Zostavax and hepatitis C drug Zepatier. Both saw sales plunge more than 70 percent in the quarter as rivals’ newer or better drugs make Merck’s minor players. Sales of Type 2 diabetes pills Januvia and Janumet totaled $1.5 billion but are flattening out. However, Keytruda sales have been growing rapidly as the injected biologic drug keeps winning approvals for treating additional types of cancer, most recently in the U.S. for advanced cervical cancer and a type of lymphoma. It’s now approved here for eight cancer types, is in testing for many others, and was just approved Thursday in China, a huge market, for treating melanoma. 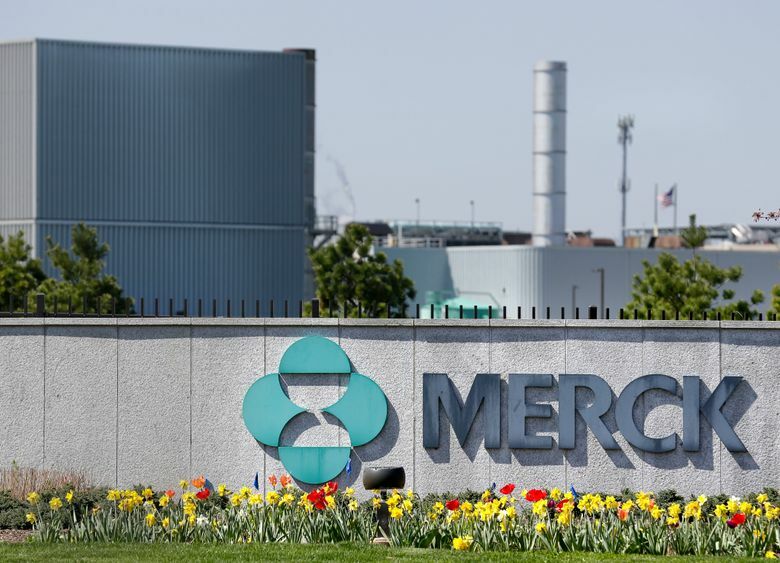 Merck recently began getting revenue from partnerships selling two new oncology drugs, Lynparza for ovarian cancer and Lenvima for thyroid cancer. And the company acquired Viralytics Ltd., an Australian biotech company developing cancer cell-kiling viruses. Sales of veterinary medicines for pets and livestock jumped 14 percent, to $1.08 billion. Merck said it now expects full-year earnings of $4.22 to $4.30 per share, up from its May forecast for $4.16 to $4.28 per share. Merck said It now expects 2018 revenue of $42 billion to $42.8 billion, versus its May forecast for $41.8 billion to $43 billion. In morning trading, shares fell 97 cents, or 1.5 percent, to $63.04.